The LG direct drive motor with inverter control delivers a reliable, quiet and durable mechanism with less moving parts than the traditional belt and pulley system - that's why you get a 10 Year Parts Warranty on the LG Direct Drive Motor. 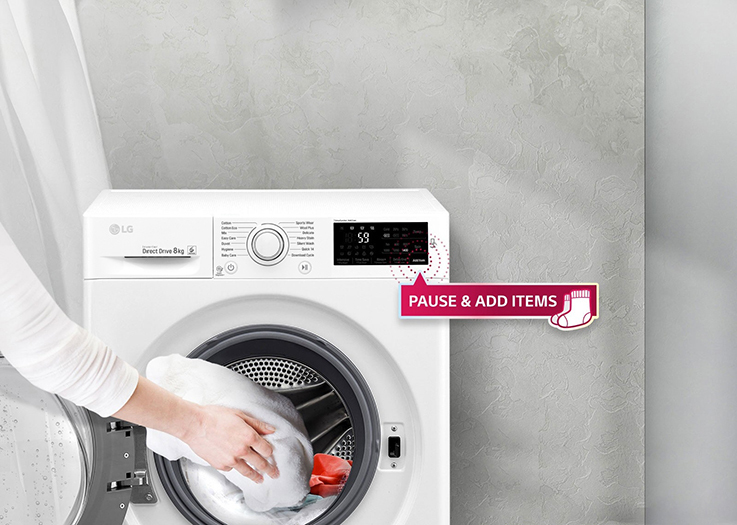 LG washers use a combination of 6 motions, based on hand-washing, to wash your clothes. 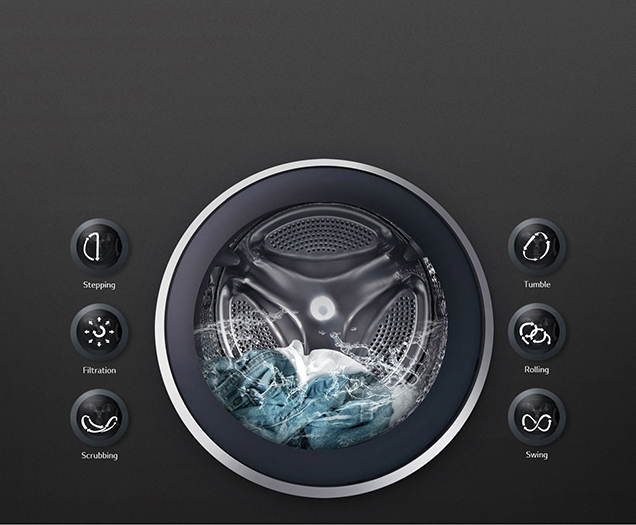 Simply choose a cycle and your machine selects the best combination of washing motions to give you an outstanding wash, whilst also caring for your clothes. 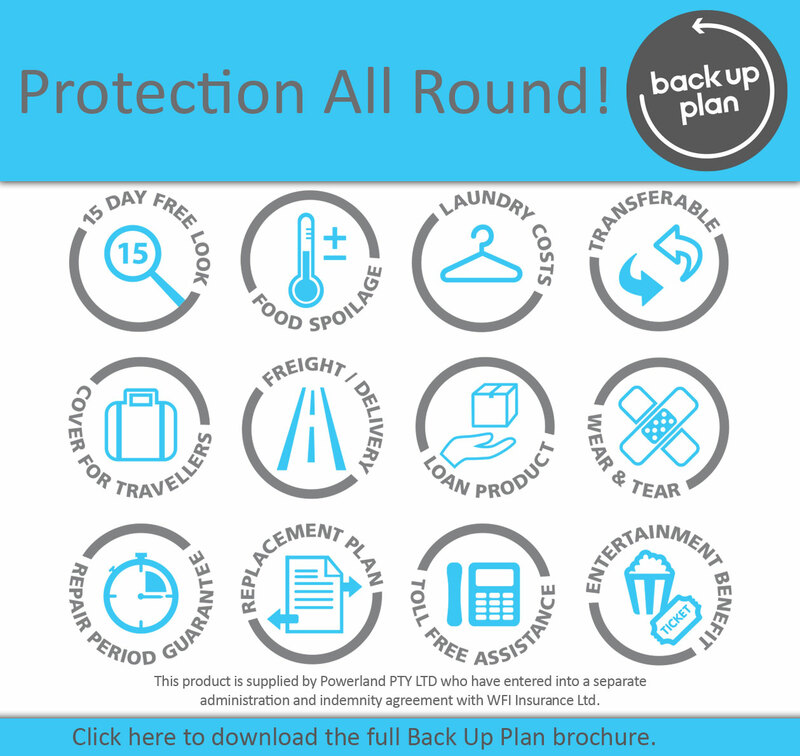 Releases clothes at the peak of the rotation cycle which helps loosen laundry and reduce tangles. Regular tumbling for your everyday washing needs. Quickly alternates creating a scrubbing motion. Helps dissolve detergents & remove stubborn stains. 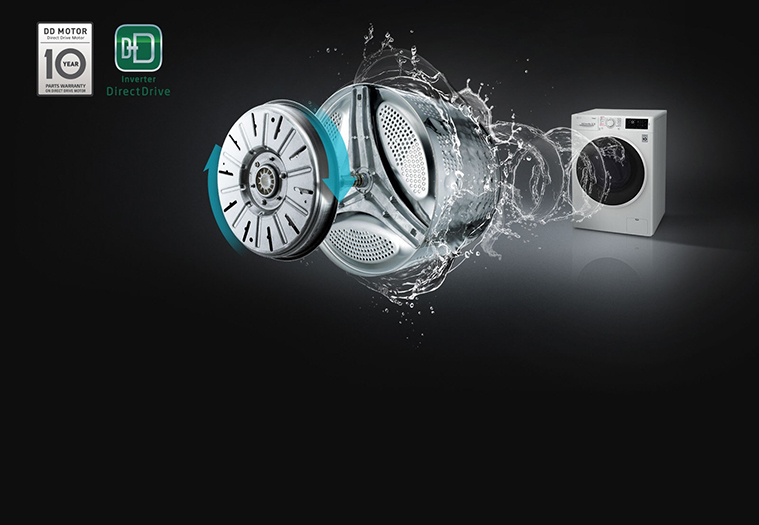 Force from the fast rotation distributes the water evenly onto laundry for a full & even saturation. Clothes are rolled gently under water for a delicate wash. The drum gently swings clothes from one direction to the other. Ideal for those delicate items. *Door will remain locked if water temperature is above 40°C or the water level is high. More Wash Cycles: View usage on a NFC enabled Android device, Tag On uses Near Field Communication (NFC) technology to download more wash cycles & view history usage. 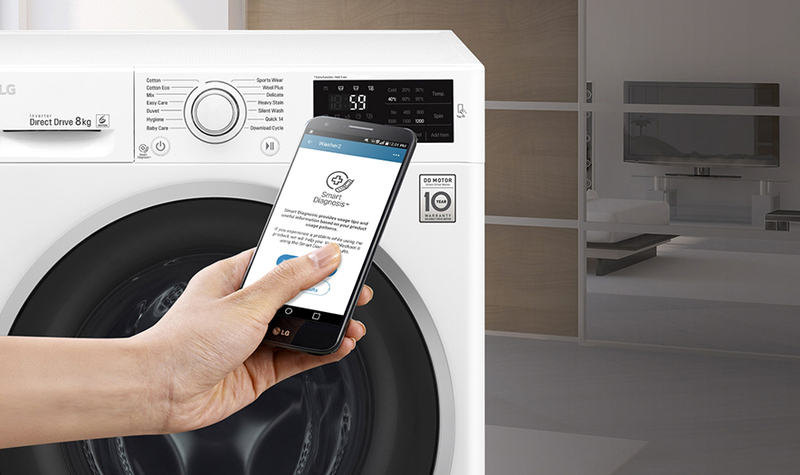 Troubleshoot: With a smartphone & the LG Smart ThinQ app the washer can "talk for itself" to find a solution to help save time & money on unnecessary call outs. General Cycles: Cotton, Cotton Eco, Mix, Easy Care, Duvet. Specialty Cycles: Hygiene, Baby Care, Sports Wear, Wool Plus, Dark Wash, Heavy Stain, Silent Wash.